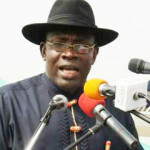 (AFRICAN EXAMINER) – The Governor of Bayelsa State, the Honourable Henry Seriake Dickson, has offered automatic employment to 307 products of the Bayelsa State Scholarship Scheme who have concluded their doctorate degree and master decree programmes in various disciplines in universities across the world. A statement by the Special Adviser, Media Relations, Mr Fidelis Soriwei, on Sunday, quoted the Governor as having made declared automatic employment for 107 PhD holders and 200 MSC degree holders during a meeting with beneficiaries of the scheme in Yenagoa at the weekend. The Governor also announced automatic employment to all medical doctors, pharmacists and public health specialists and other beneficiaries of the State Scholarship Scheme who studied professional courses considered critical to the ongoing efforts to develop the state. The Governor told the ecstatic audience that the 107 PhD holders would be deployed to the three state-owned universities – the Niger Delta University, University òf Africa and the Bayelsa Medical University – as lecturers. He stated also that other products of the scheme who studied medicine and other professional courses at master’s degree level would be engaged by the state Government in the various medical facilities and the civil service respectively. The beneficiaries of the scheme returned with PhDs and MSC in disciplines such as Electrical/Electronics Engineering, Agricultural Economics, Agric engineering, International relations, Pharmacy Practice, Public Health, Computing and Electronics System, Gas turbine engineering, Natural Resources Management, Environmental Law and Management, Statistics and others. However, the Governor noted that the State Scholarship Scheme which was designed to send an army òf Bayelsa scholars to universities across the globe came with heavy sacrifice and cost to the government. 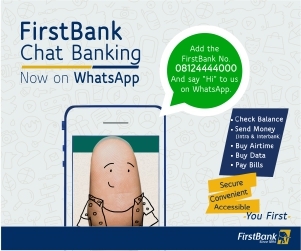 According to him, the government was saddled with outstanding liabilities of about three million Pounds, one million Euros, several million of Dollars, and Naira. He stressed that while the cost of sending the scholars outside the country was quite huge, investment in education and human capacity development was the only way to wrest the state from clutches of underdevelopment, oppression and poverty. He stated further that the plan of the Restoration Government under his leadership send an large number of Bayelsa Scholars to universities across the globe was stalled by the 2016 economic recession which affected several programmes of the government. He said, “We should not forget to invest in education. The reason we are where we are is because of lack of education, the reason people take away our resources with impunity is lack of education. “The mindless degradation of our own environment, the acts of impunity against our people and their environment, what I call environmental terrorism, is because of the backwardness in education. “Those who woke up early and embraced education have taken over everywhere. 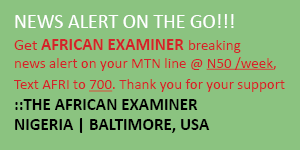 This is our own way of equipping our people to be able to tackle the existential challenges facing us today. “The cost is quite huge but no matter the cost, this is the right way to go. I don’t need to know any one of you to be given the opportunity and encouraged to study abroad. “I had the intention to send out an army of scholars across the globe but the recession stalled that plan. Several programmes including the scheme suffered stagnation as a result of the recession, the worst in the history of our country. The Governor assured beneficiaries of the scholarship scheme still in various universities within and outside the country that the state government would ensure the release of funds next week to gradually address the issues of outstanding bills in the various which are host to them. He directed the Scholarship Board to commence the process to immediately settle the outstanding bills of scholars who have concluded their studies and needed their certificates for promotion or upgrading as well those who want to further their studies. Speaking on behalf of the beneficiaries who studied for Phd, Dr, Jude Cocodia, a lecturer at the Niger Delta University, commended Governor Dickson his bold revolution in the education sector in the state. He said that the state was already feeling the positive impacts of years of sustained investments in education especially at the NDU which is host to a large number of the beneficiaries. The Governor has earlier offered automatic employment to 31 First Class graduates and 1000 young graduates into the state civil service who received their letters of employment in January, 2019. 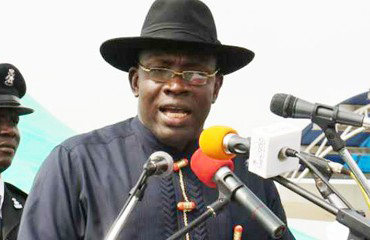 Governor Dickson said that his administration established the Tertiary Education Loan Scheme to enable every Bayelsa child with a desire to attain University education to obtain a loan collateralized by their certificates and then pay back when they are gainfully employed. He stressed that the administration succeeded in building schools, set up various scholarship programs for all levels cut across the state in spite of the recession. 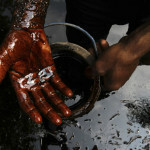 FG Should Improve Living Condition in Niger Delta, Says U.S.